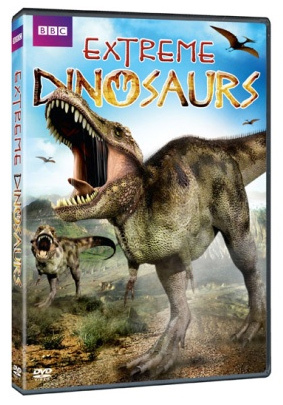 BBC Home Entertainment presents exciting, terrifying and mind-blowing dinosaur discoveries with this trio of DVDs, all available March 12, 2013: Extreme Dinosaurs, Predator Dinosaurs, and Prehistoric Park. The first DVD, Extreme Dinosaurs, is a Dino Double Feature that will challenge a number of the previous perceptions of the Tyrannosaurus rex. In Extreme Dinosaurs, the first on the double-bill, Paleontologist Dr. Phillip Currie believes he has found a fiercer predator than the T-Rex: a six-ton flesh-eating dinosaur, the Argentinosaurus, which hunted its prey in packs. Until recently there was little evidence to support Currie's theories but now with the discovery of two mass dinosaur graves on his hands, he is able to gather the evidence to prove his theory to be true. In the second feature, T-Rex: Warrior or Wimp?, the T-Rex’s place as the scariest dinosaur also comes into question. The T-Rex has been known as the meanest, most bewitching dinosaur of them all - could experts have been mistaken? In Predator Dinosaurs, research has led to novel ways of seeing some of the most brutal killers in history. The program uses innovative techniques through biomechanics, CGI, special effects and hi-tech scans to provide an insightful look at dinosaurs and challenge theories about the prehistoric world. Was the Tyrannosaurus rex: king of the dinosaurs or a mediocre scavenger? 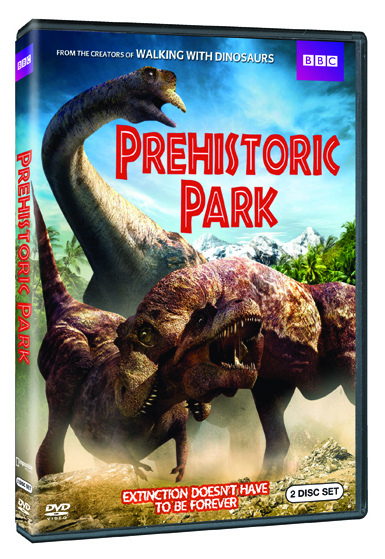 And finally, in the re-release of Prehistoric Park, zoologist and wildlife expert Nigel Marven travels back in time to capture amazing creatures ever to exist and bring them back to the ultimate wildlife sanctuary, the eponymous Prehistoric Park. 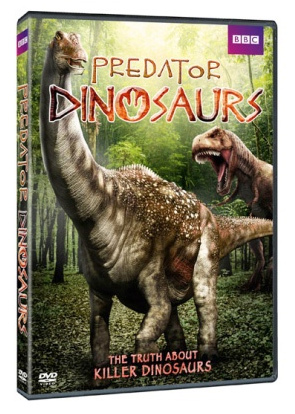 Step into the hostile climates of the Cretaceous, Pleistocene and Paleozoic time periods to witness what killed incredible beasts such as Tyrannosaurus rex, Wooly Mammoth and Sabre toothed tigers. Take a journey with Nigel as he prepares for his forays into the past by working with present day animals for clues as to how their ancient ancestors might have behaved. All 3 titles are in stores NOW. Click the links above to order with 25% off!